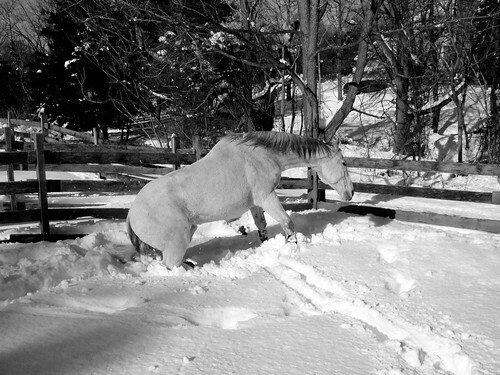 Gennyral Playing In The Snow! 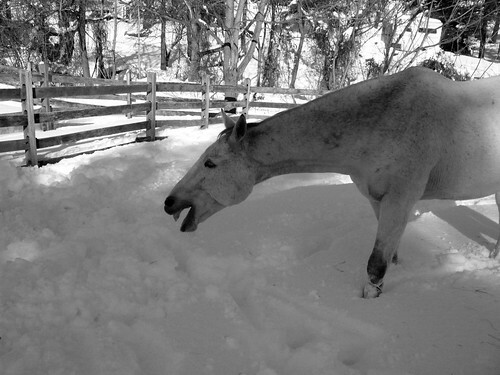 Tell me after looking at these pictures…do I or do I not have the happiest horse in the world! 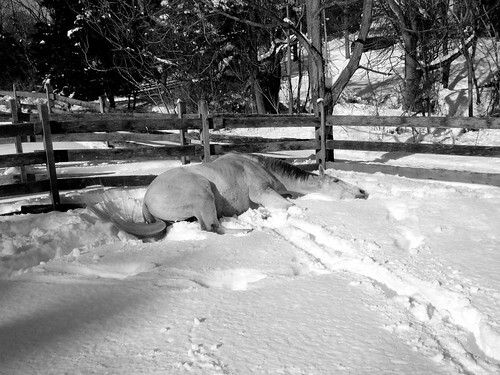 So do you think I have a happy horse? 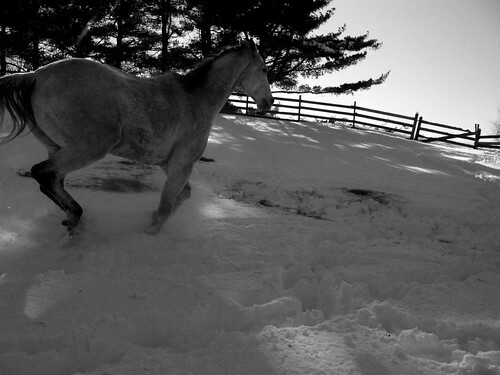 ← Skijoring – Finally…a winter horse sport! Very happy! 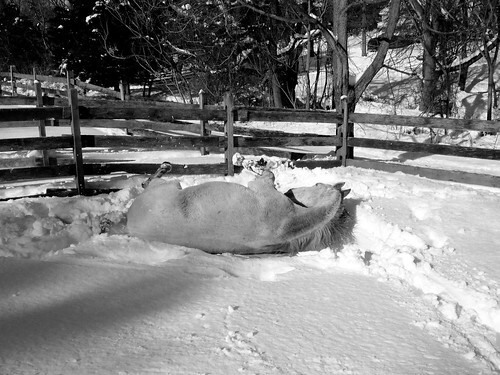 Love the rolling pictures of him making horsey snow angels. Oh my gosh, SO CUTE! I love it! These are great, they really made me smile. 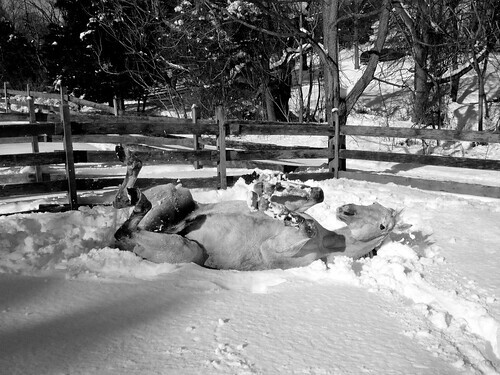 You have a very, very happy horse. Thanks for sharing. Those are great photos! 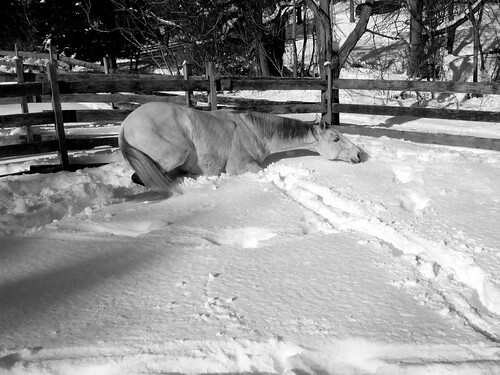 He sure does look happy to roll in the nice fluffy snow you guys have. 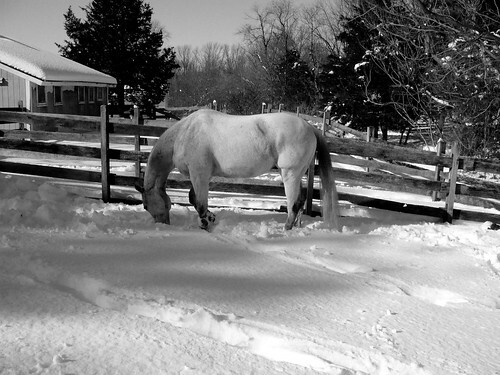 Our snow is all hard and crusty and packed down, so not much running! I love the picture with all 4 feet all tucked up in the air like a cat! That’s adorable!! 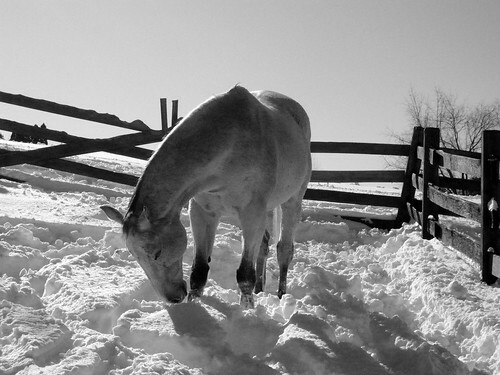 You definitely have a happy horse, no doubt about it. Totally happy. 🙂 Horses do like to give mom a heart attack, don’t they? Wonderful photos. 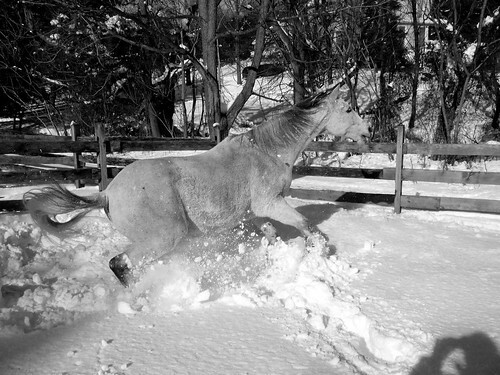 Yessireeee you got a happy horse. 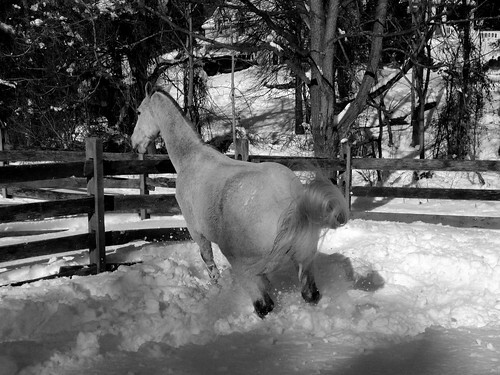 Those pictures are beautiful – the horse and his surroundings would make a beautiful monochromatic painting.